Spring is one of my favourite times of the year. Well, to be honest I like each season for different reasons but I love the 'dusting off the cobwebs' feeling that comes with spring. I start rooting around in the top of my wardrobe, peeling out last summers clothes and brightening up the flat with loads of flowers and a bit more 'white'. I love white, it's so (to quote Andre 3000) fresh and so clean and just brightens up spaces which can sometimes seem somewhat dark and dingy otherwise. So, being me (duh, who else would I be? ), I decided I wanted to try my hand at DIY painting. Now as a caveat, I haven't really touched a paint brush since I was 15 and decided I wanted to paint my bedroom a disgusting array of colours. Having learnt from my experience that I am far too rash, impatient and not very gifted when it comes to 'seeing the bigger picture' of my designs, I thought I would take this slow and steady. Start small and work my way up. 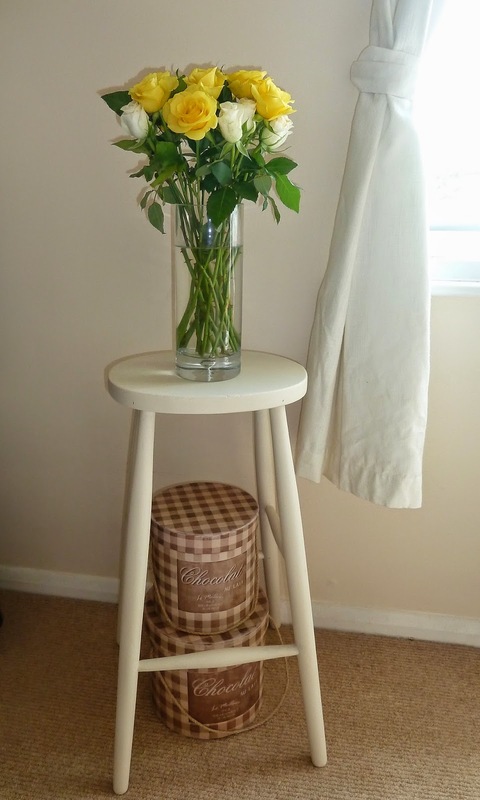 So I started simply, with two wooden stools, then a chest and then a side table. I started painting everything that wasn't nailed down, getting a little more elaborate each time. 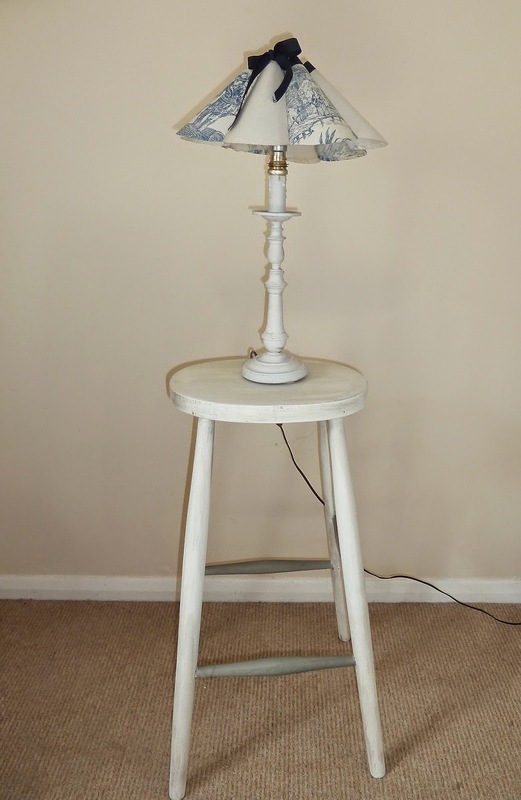 The stools I used as a tester as it were. Using small sample pots to paint, opposed to purchasing a larger sized tin, playing it safe in case all went wrong. 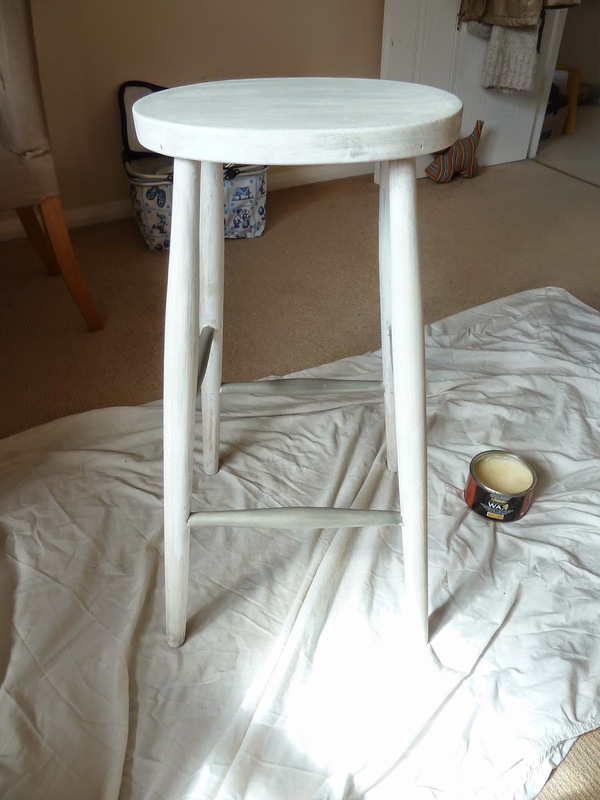 I started out by sanding the stools down - a mixture of both electric and hand sanding and then giving them a first coat. Whilst waiting for one to dry I started on the other, using a slightly different shade of white (one I had more of) and set about repeating the process. Then it was on to the next one which was slightly bigger so I had to invest in some paint this time. I settled on Ice Mint, its glossy with a slight mint green tinge to it which I love. Storage for all the bric-a-brac- that is round the flat, I thought this chest would be the perfect backdrop for some of my photo's, so keep an eye out for it's next guest appearance. 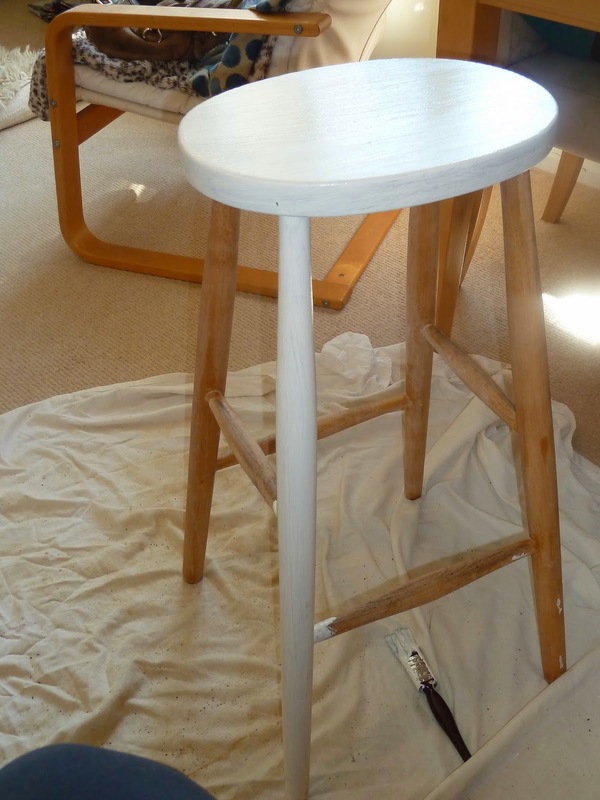 Then, having mastered the handling of a paint brush, I set my sights on this side table. Black, this was going to require more skill. 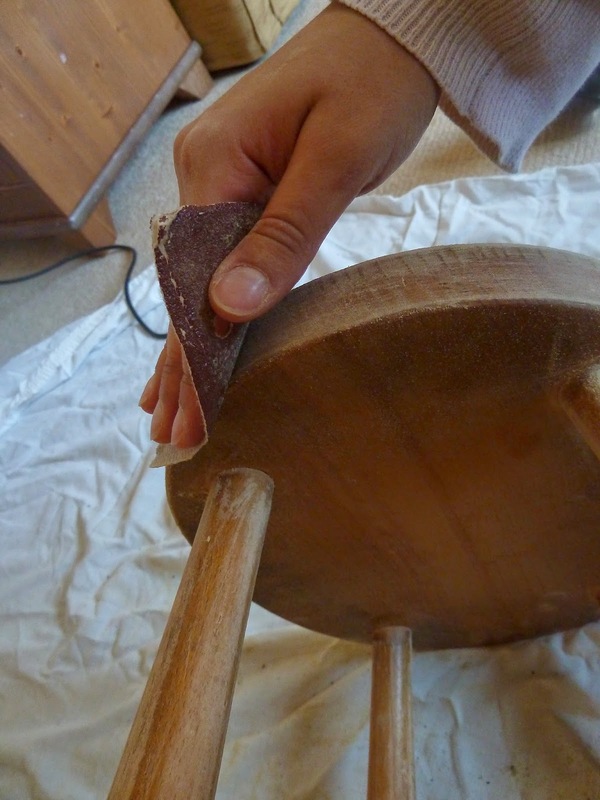 A detailed sanding to clear it of its naturally dark colour, I sanded as much as my arms would take and then washed it down thoroughly with a wet cloth to ensure I had a clean surface to work with. Then it was time to get down and dirty with the primer. And I'm talking literally, I should have taken a photo of my hands but I didn't want to ruin my camera. After painting all over with the primer I waited for a couple of days for it to dry fully; on the pot it says to wait 24 hours, but I definitely needed to wait longer. When it was dry it was good enough to paint straight away. All in all, I'm really chuffed with how all of these turned out. It gave new life to some old furniture and brightened up the flat a bit. What do you think? Reckon my paint stroke is any good?